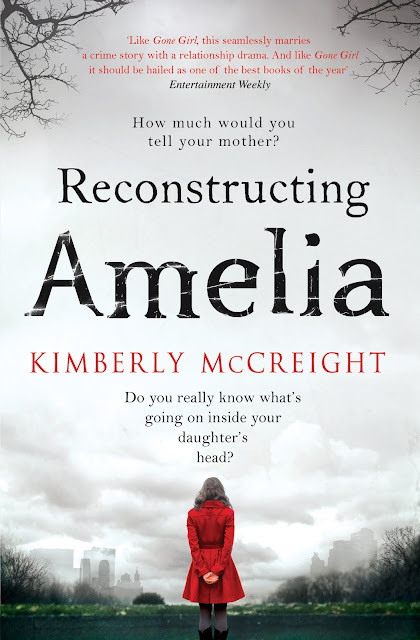 If you saw my Weekly Round Up from back in June (before all the craziness of this summer began) then you'll have seen that Reconstructing Amelia was in my favourites that week, as I had just finished reading it. So, since it's been so long since my last book review and I'd really like to include more of these on my blog, I thought I'd do another for this amazing book. Reconstructing Amelia, by Kimberly McCreight, is a really interesting read. 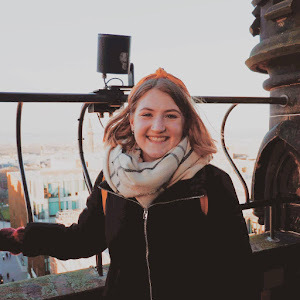 The narrative is split into two, with a chapter from Amelia's point of view, and a chapter in her mum's (Kate) perspective, giving you insight into both of these characters and their experiences. The story begins with Amelia's apparent suicide, and when Kate is told the news. Not believing that her daughter would commit suicide, Kate takes on the role of detective of her daughter's life, trying to identify what happened in the days leading up to her death. While you follow Kate in her search, months after the incident, you are also given Amelia's thoughts for the month leading up to her death. I'm not a massive lover of crime books, but this story was a perfect blend of crime with teenage angst and motherly love. It was fascinating to see the perception of events through a teenage girl's eyes then to see how easy it is for it to be interpreted in another way by a somewhat absent mother. Without getting too deep, it does help you realise that maybe your parents aren't always the bad guys, and that sometimes these teenage troubles aren't always the end of the world. It's hard to talk about this book without gushing about the whole story line - but I won't let slip the key events, no need to fear. What I will say is that not everything is as it seems all along. Kate has issues of her own, and secrets that she kept from Amelia, just the same as Amelia hid things from her mother - both with their best intentions at heart. Each chapter had me guessing what had happened, and I came up with countless - what I thought was plausible - story lines and incentives for characters to kill Amelia. The ending, only becomes apparent in the last couple of chapters, and I was right beside Kate as she figured it out at the same time. I found myself becoming attached to these characters, who had obviously not had an easy life. From Kate's chapters you learn of the struggles of being a single parent and having a successful career; from Amelia's view I could sometimes relate to some typical school behaviour, and could sympathise with how easy it is to become total involved in something you are not comfortable with. I'd recommend this book to anyone who likes a novel with a bit of a mystery to solve, and love to read about family relationships. This book covers so many topics, and I feel its really relevant to today's generation where a lot of these issues are widely discussed on twitter and tumblr etc. I'd definitely say to teenagers to read this book, although it seems like a sad novel due to its premise, it actual sheds a lot of light on many important issues, and helps to show that there are many different ways to interpret a situation.